Sisters Sally and Gillian Owens have a special bond with each other despite being different in personality and outlook. 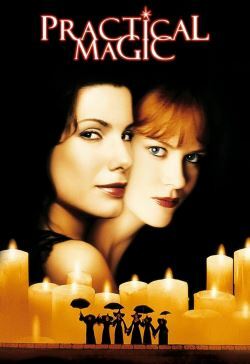 Having grown up with their spinster Aunts Frances and Jet in the long time Owens family home on an island off the coast of Massachusetts following the death of their father and then their mother, they are the latest in a long line of witches. Rumors of the Owens women being witches have existed for generations in the small close minded town in which they live, despite there being no hard evidence. The Owens women are also under a curse that any man with who they fall in love is doomed. With this experience, extroverted Gilly decides to leave the island to live life to the fullest, in the process falling for Jimmy Angelov, an ethnic Bulgarian who grew up near Transylvannia. More introspective Sally, who has sworn off the use of magic except in its most practical sense, has taken measures not to fall in love because of the curse, but ends up falling for and marrying Michael, a local merchant, the two who end up having two daughters of their own. The curse works its way into both Gilly and Sally's lives in different ways. The outcomes of the curse on their collective lives become more complicated with the arrival into town of Tuscon police detective Gary Hallet, whose arrival is not by accident and involves more than just his stated professional purpose.